In this surreal version of the “found-footage” film, Cecil Tanner (filmmaker) sets out on a journey to find the infamous street dykes of Louisiana. Through a bizarre and playful lens, STREET DYKES parodies and pays homage to 1970s documentaries. Award-winning filmmaker, Haven Nutt (MR. MAN, GUN) shot this movie on the 16MM tail ends of Joe Dante's PIRANHA (1978). A psychological thriller from Ace Fillmore detailing the journey pf a young woman trapped in a neverending nightmare after a failed suicide attempt. 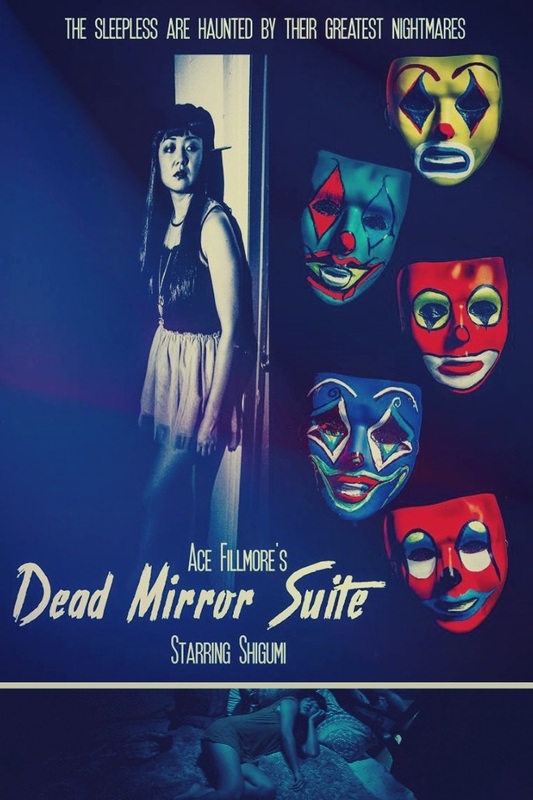 Ace Fillmore’s DEAD MIRROR SUITE is a modern take on the “silent film”, masterfully juxtaposing themes of beauty, carnality, horror and misery in order to create an operatic cinematic experiment in psychological terror. THE YIG is an experimental film shot on one roll of Super 8MM film. All edits were made in camera by director, Harry Walker III. The composer, Dennis Hockaday had to score the film, sight unseen, strictly according to Walker’s notes. Walker and Hockaday did not see the completed film until after submitting to the Cannes Straight 8 Film competition. Emily Caruso, a young woman bored with her predictable and hackneyed reality becomes desperate to experience the paranormal. After inexplicably spotting her doppelganger, Emily pursues her impossible double through the streets of Austin, TX only to discover the hidden dangers behind her supernatural obsession. Recorded live by Harry Walker III for the Daytrotter Sessions.